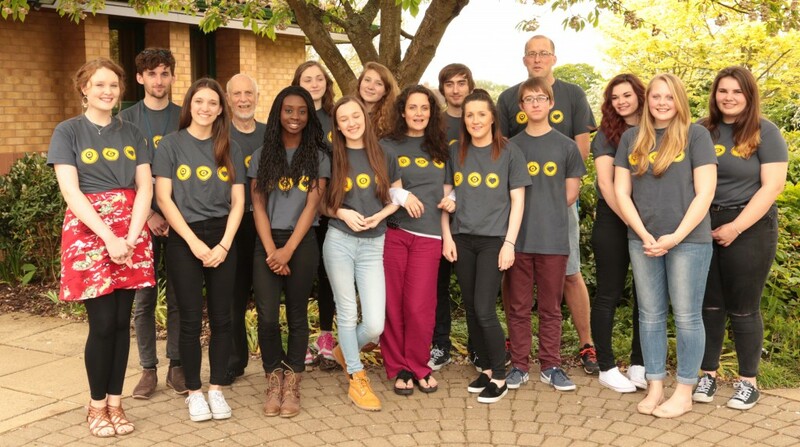 Christ The King, Kettering Youth Uganda Mission Team has been working with Tearfund to organise a Summer Mission trip to Soroti, Uganda. Andrew Buxton, part of the Mission Support in the church and Andy Stilwell, Youth Mission Leader, have worked to make the two week trip to Uganda from 5-18 July a reality. Photo of the Youth Group, Christ the King Kettering and Andy Stillwell, Youth Mission Leader. Andy, three other Adult Leaders and 12 teenagers ages ranging from 16-18 will be going to Soroti. Andy said “I’ve always wanted to take Children on an overseas mission, the growth the young people will get from this experience”. He said the young people didn’t want to just send cash, “they want to connect with the Churches in Africa and work with Tearfund rather than just sending money over”. Their aim in Uganda is to work with the Pastor of the church outside Soroti. They will be given projects to help the community develop and grow; such as agricultural work, working with the Children’s Choir and the Churches Nursery School. In order to make this Summer Mission trip happen the Uganda Mission team at CTK needed to raise £18,000. They had several fundraising events and activities, but a highlight was their Gifts and Promises Auction. People and organisations donated items for the auction, including an iPhone 6 and a holiday. The auction raised around £4,000. Two of the members of the Uganda trip have a band called CtK Youth. They made a CD of their Contemporary Christian Music which they sold to add to the pot. They began raising money on 15 February and as at 11 June they have raised £24,000 for the Uganda Mission Trip. The fundraising activities have helped them reach their target but the one thing that has guided them through this has been every day at 9.21 pm the children have been saying the Prayer of Matthew 21:21 And Jesus answered them, “Truly, I say to you, if you have faith and do not doubt, you will not only do what has been done to the fig tree, but even if you say to this mountain, ‘Be taken up and thrown into the sea,’ it will happen.